In the 1980s, when a "dry law" was in effect in the USSR, artisanal alcohol production flourished. Today, 30 years after Gorbachev's failed campaign, Russia is again seeing a homemade liquor boom. RBTH looked into the causes and possible consequences of the phenomenon. For the past two years, the Russian consumer has been living in a new food reality; the Kremlin's embargo on EU agricultural imports has deprived him of French blue cheese and Italian prosciutto, while the cheap ruble has made Scotch whisky and Belgian beer an unaffordable luxury. But this epicurean austerity has only seen resourceful Russians retreat to their kitchens and dachas and begun learning how to produce some of these delicacies with their own hands. 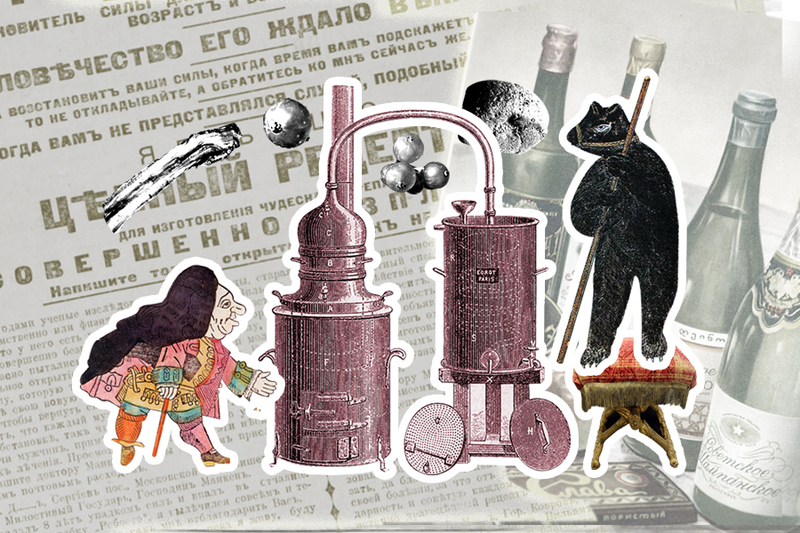 Having mastered domestic cheese-making, many Russians have now set about making homemade alcohol. Against the background of destabilization of the Russian alcohol market, a new wave of home brewing has swept across the country. Imports of whiskey, rum, tequila and wine in the country fell by an average of 20-30 percent at the year-end 2015, the Customs Service reported. Due to the devaluation of the ruble, purchasing power is falling, while the growth of foreign exchange rates encourages importers to raise prices even further. "Probably only the abstainer has failed to notice the growth of citizens' interest in home brewing lately," said blogger Vasily Zakharov, who runs a group on liquor-related topics on a social network. "This is not surprising: Alcohol is getting more expensive, the ruble is falling, and on top of that, the government, which is actively lobbied by vodka producers, is going to raise the minimum price of vodka," he said. Zakharov noted that people have started to bring less alcohol even from duty-free shops, because they have begun to save on travel and are less likely to fly abroad. Manufacturers of brewing and distilling equipment confirm the trend. "Today we are witnessing a real boom in the artisanal production of alcoholic beverages in Russia," said Alexander Kozlov, managing director of the Politech-Plus Engineering Enterprise. "Even though we specialize in the production of industrial equipment, we receive several orders every day for mini-breweries with capacity of 30 to 100 liters of finished drink per day. People who want to make premium craft beer and sell it in their small cafes fork over up to 500,000 rubles [$6,350]." However, it is not necessary have to half a million to make enough alcohol for a house party. Over the past year, the number of queries such as "Buy a still" on the Russian search engine Yandex has increased by 50 percent. In response to this query, the search engine produces a lot of offers, including "Rum at home,” "Still as a gift" or "Distiller for home delivery, inexpensive." The latter is most often true: The minimum price of a still ranges from 5,000 to 7,000 rubles ($65-90) in different online stores – a feasible amount for a Russian with an average income. "According to our statistics, the main target audience of our online store, Hootch.ru, and our retail stores, Home Distillery, are men aged up to 30," said Yegor Sboyev, CEO of SBV Group, a company selling equipment for alcohol production. "As a rule, they are privileged, middle-class people. No marginalized populations, because moonshine-making is a process that requires time and understanding of what you do." The high prices of factory-made alcohol are not the only cause of the surge in domestic production. Along with the cost, consumers are concerned about the dubious quality of alcohol being sold in shops, while the trend for natural products is inspiring them to experiment with raw materials. Moscow resident Boris Asnovich started making homemade alcoholic beverages a year ago. He cites the low quality of alcohol sold in shops as the reason. Having tried several video recipes on the internet, Asnovich began to experiment: to beverages of a strength of 40-45 percent, he adds Siberian pine nuts, pepper, caraway seeds or one of the traditional varieties of Russian rye bread – Borodinsky. He also adds sticks of wood to achieve the barrel-aged flavor. He picks berries for liqueurs at his dacha garden, and buys spices and other ingredients in a store. "Moonshine-making is becoming a very popular hobby," said Sboyev. "Moonshine is a natural product, and the process of brewing – it is, in a sense, a way to express your personality. People do not make moonshine simply to drink, but share the results and the completed product with their friends, proudly talking about what they used for what." Amateur bootleggers share their experiences and recipes in specialized internet forums, with their creative imagination limited only by the amount of spare time they have. Almost everything needed for home production can be bought – from stills to sherry barrels for aging beverages. Home-grown dacha produce, herbs and seemingly inedible items are used. "My good friend infuses moonshine with walnut partitions – I've never tasted anything more delicious; at the same time, the cost of such things is just a penny," said blogger Zakharov. However, statistics show that home production of alcoholic beverages has its dark side. According to the Rosstat statistical service, accidental alcohol poisoning is one of the most frequent causes of death in Russia. The most recent data was published in 2014, when the number of deaths from this cause reached 15,400, accounting for 8 percent of the number of deaths in the country due to external causes. In relation to the total number of deaths, accidental alcohol poisoning accounts for 0.8 percent.